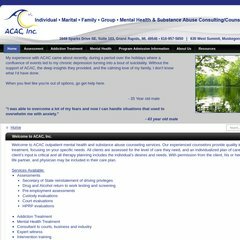 www.Acacsite.com - Welcome To ACAC, Inc. It is hosted by Continental Broadband Pennsylvania Inc (Pennsylvania, Pittsburgh,) using Microsoft-IIS/6 web server. There are 2 Nameservers, ns09.domaincontrol.com, and ns10.domaincontrol.com. The site is programmed for ASP.NET. PING (209.190.184.20) 56(84) bytes of data. A ping to the server is timed at 21.3 ms.